Dimensions 9" x 7 1/2" x 9 3/4"
Special delivery! 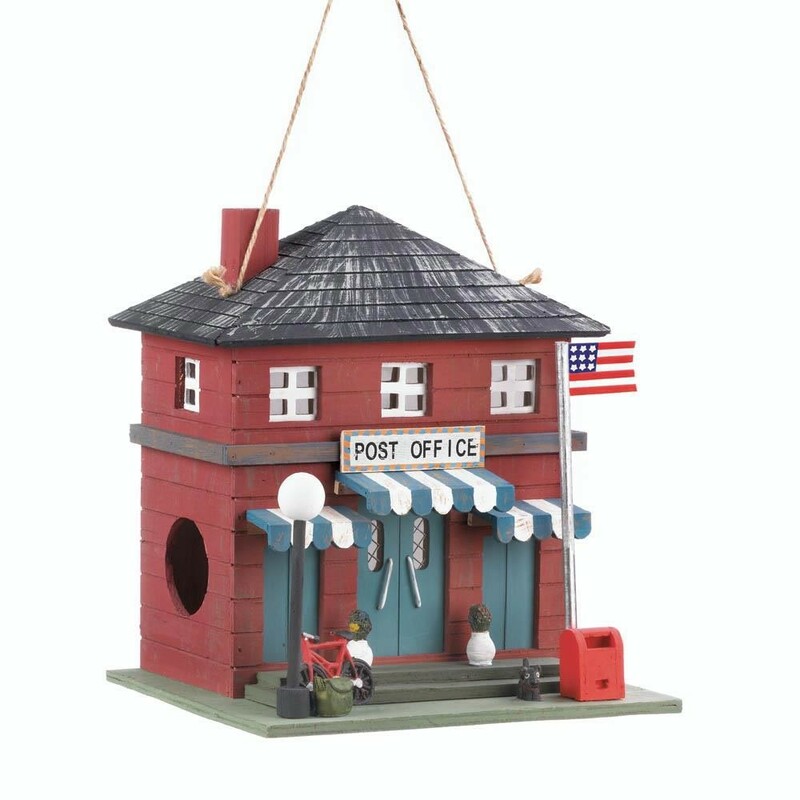 This post office birdhouse simply could not be any more charming. It features blue and white striped awnings, an American flag waving outside, and a red mail box waiting for birdie mail. The entrance hole is on the side, perfect for a lucky little bird to set up shop inside. Includes a clean out hole at back of birdhouse.